(CNN) - Some House Democrats have been unhappy with progressive Rep. Alexandria Ocasio-Cortez's resistance to falling in line with her fellow party members, particularly her threats to support primary challenges against incumbents, Politico reported Friday. Lawmakers have been quietly criticizing the New York newcomer and are hoping to rein in her criticism of those in her own party, Politico reported, citing nearly 20 lawmakers and aides. 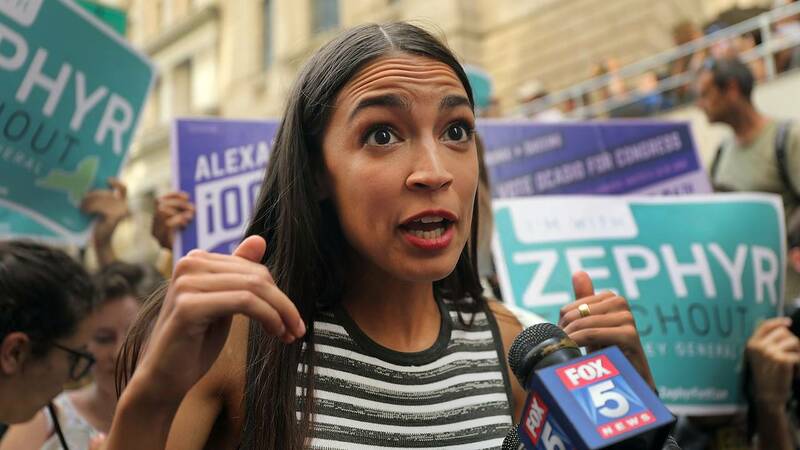 The report described lawmakers as fearful of Ocasio-Cortez's ability to swing progressives against more establishment Democrats and anxious to utilize her influence to unite the party. They point to her hiring of two former organizers from the progressive group Justice Democrats, which helped get her elected, and a November conference call in which she urged, "all Americans know money in politics is a huge problem, but unfortunately the way that we fix it is by demanding that our incumbents give it up or by running fierce campaigns ourselves." Through her staff, Ocasio-Cortez declined to comment to Politico. But after the story published, she responding to the report on Twitter Friday, writing, "To quote Alan Moore: 'None of you understand. I'm not locked up in here with YOU. You're locked up in here with ME.'" Democratic leaders were also frustrated that Ocasio-Cortez criticized their new set of House rules on Twitter in the first week of the new Congress, Politico reported. Ocasio-Cortez shared with her more than 2 million Twitter followers that she'd vote against a Democratic rules package. House Democrats were also annoyed that Ocasio-Cortez sought a seat on the powerful Ways and Means Committee -- on which veteran lawmakers typically serve -- with a grassroots campaign to pressure Speaker Nancy Pelosi to add her to the panel, Politico reported, adding that Ocasio-Cortez's office denied being behind the effort. Recently Ocasio-Cortez told Politico that she wasn't interested in backing progressive candidates against incumbent Democrats, insisting that she's "focused on my job." Her chief of staff also fired back at House Democratic lawmakers who spoke to Politico about Ocasio-Cortez. "The Democratic Party and the King of England have surprisingly similar reactions to democracy when their own power is threatened," he posted on Twitter Friday. Some lawmakers are trying to convince Ocasio-Cortez to use her influence to unite Democrats, while others have warned her that she's headed for a lonely tenure in Congress if she treats her more moderate colleagues as enemies, the report said. Democratic Rep. Nydia Velázquez of New York has been a bridge between the Democratic caucus and Ocasio-Cortez, counseling the freshman congresswoman in private conversations against targeting her fellow Democrats, according to Politico. Velázquez told Politico that the two shared a "long, long conversation" about the dynamics of Congress and Washington, and how there shouldn't be a "litmus test" for each district, and advised Ocasio-Cortez to think twice before backing primary challenges against her colleagues.